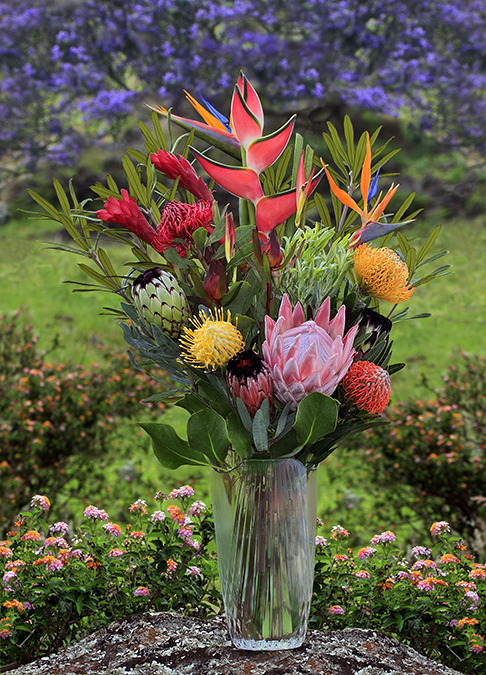 Proteas of Hawaii - Proteas and Tropicals Cut Flowers. 20 piece mix of proteas and tropicals, 15 blooms and 5 foliage pieces. Container IS NOT INCLUDED. Price includes FedEx 2-Day Delivery. Enter 5 digit zipcode where this item will be shipped, then click on Calendar icon, or press Enter or Tab to open Delivery Commitment Calendar. Need Help?